Obituary for Lillian A. (Tinley) Bromley | Robert L. Snyder Funeral Home and Crematory Inc.
Lillian A. Bromley, Greenville (Delaware Twp.) passed away peacefully in the comfort of her home with her family by her side at 11:15 pm on Wednesday, March 27, 2019. She was 77. She was born in Sharon, Pa. on February 23, 1942 a daughter of the late William and Margaret (Niven) Tinley. She was a 1960 graduate of the former Fredonia – Delaware High School. On July 23, 1960 she married Richard I. Bromley, Sr. who survives. Over the years Lillian utilized her talents as a floral designer having worked at the former Scovill Greenhouse, Fredonia, Kraynak’s of Hermitage and later at the Cottage Gardens Designs, Hermitage. 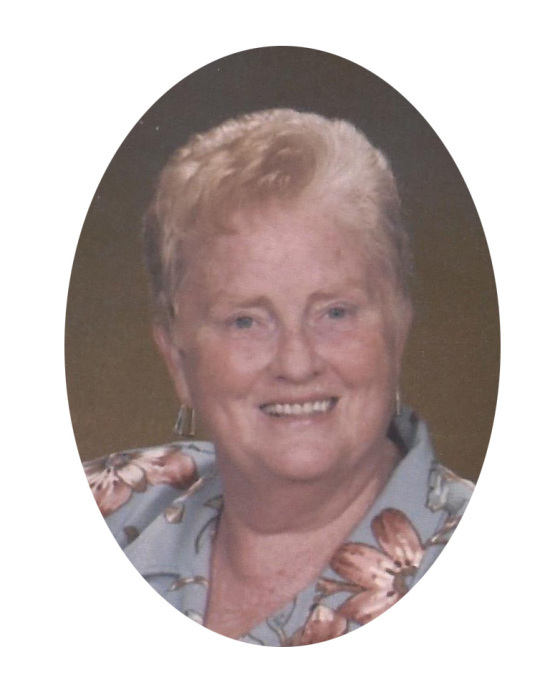 She was a member of the Sandy Lake Presbyterian Church and the Greenville Order of the Amaranth, Lillian was a former member of the Stoney Point Grange and the St. John’s United Church of Christ. Lillian is survived by her husband Richard; a son Richard I. Bromley, Jr., Greenville; two daughters, Melanie A. Crispin and her husband Darrell, Greenville and Monica L. Ziegler and her husband Timothy, Poland, Ohio. ; Two brothers, William Tinley, Farrell and John Tinley and his wife Sally, Transfer; a brother in law, Chris Langdon, Tulsa, OK.; 3 grandchildren, Ron Bromley, Michelle Dilley and her husband Scott and Chase Courtney; 5 great grandchildren; one great grandchild and several nieces and nephews. Lillian was preceded in death by her parents, a sister, Betty Langdon; a brother James Tinley and a sister in law Janet Tinley. The funeral service will be held on Monday, April 1, 2019 at 11:00 am at the Fredonia branch of the Robert L. Snyder Funeral Home and Crematory, Inc. 169 Second Street, Fredonia with Rev. Beth Creekbaum, pastor of the Sandy Lake Presbyterian Church officiating. The interment with committal prayers will follow at the Delaware Cemetery. Family and friends may call at the funeral home on Sunday from 2-4 and 6-8 pm.